The Ron Barceló story begins with the dream of two young Spanish brothers, Julián and Andrés Barceló, who arrived in Santo Domingo in 1929 to follow their dream of making the best rum in the world. 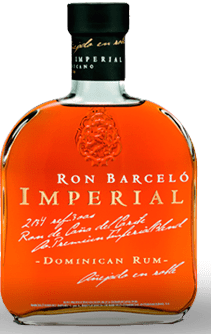 Ron Barceló is now the best-selling Dominican rum in the Spanish market and the first brand named by consumers when asked about alcohol brands. Thanks to its fun advertising campaign aimed at party-goers, Ron Barceló Añejo has become the star product of the house. Its “Live now” philosophy inspires consumers to live in the moment, seize opportunities, enjoy life and friends, and have fun. It is aged in American oak barrels for 48 months to obtain its well-structured and long-lasting flavour. Barceló Platinum was created as a new superior quality white rum alternative as part of the family of Barceló rums. It is ideal for use in cocktails thanks to its versatility. It is a superior white rum, aged in oak barrels and made from Dominican sugar cane. It has citrus aromas and hints of vanilla and red pepper. A gentle flavour that is perfect for combining in mixed drinks. Pioneering product; Barceló Cream is an exotic and delicious Dutch cream prepared with the finest Ron Barceló Añejo. Its young, care-free character make it the perfect liqueur for enjoying with friends around the table. Barceló Signo is the most versatile premium rum, characterized by a reddish amber color, fruit of its double aging in American and French oak barrels. The balance of classic aromas with other unusual ones allows the combination of this breaker rum with everything. We recommend completing your perfect service with a slice of squeezed lime and lime-lemon soda. 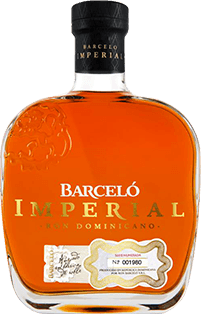 Ron Barceló Imperial is part of a private family reserve that was started in 1980 in the Dominican Republic and strictly follows time and tradition. This premium spirit is produced using the finest Caribbean sugar cane and is the leading Dominican rum by Barceló. Imperial has been the leader in its segment since its launch and has won more awards from international organisations than any other Dominican rum. 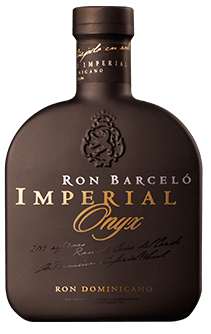 Rum Barceló Imperial Onyx is a superpremium dominican rum stand in an exclusive bed of semiprecious stones of Onyx. Is a destilated that combines the traditionan known-how of the master rum and wood maker with the more advanced and innovatives technics and process. The obtained result is a extraordinary rum, with a strong body, structured and with grat carácter. Exclusive, limited production rums that are known for their variety and depth of flavour. 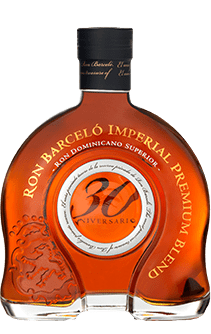 Ron Barceló Imperial Premium Blend was created to commemorate the 30th anniversary of Ron Barceló Imperial; production was limited and this exclusive rum is part of a private reserve specially aged for the most select drinkers.